Pasi Sahlberg is a Professor of Education Policy at the UNSW Sydney. He is experienced in classroom teaching, training teachers and leaders, coaching schools and advising education policy-makers around the world. Pasi is an international speaker and author who has given more than 500 keynote speeches and published over 100 articles, chapters and books on education. Pasi is a member of the Advisory Board of the Center on International Education Benchmarking in the U.S. and of the International Council of Education Advisors (ICEA) in Scotland. He is Adjunct Professor at the Universities of Helsinki and Oulu in Finland, and former Director General of CIMO (Centre for International Mobility and Cooperation) in Helsinki, Finland. His book “Finnish Lessons: What can the world learn from educational change in Finland?” (2011/2015) won the 2013 Grawemeyer Award and he received the 2012 Education Award in Finland, 2014 Robert Owen Award in Scotland and 2016 Lego Prize in Denmark. He is also known as international “school improvement activist” because his direct links to practitioners and their communities. His latest book (with William Doyle) is Let the Children Play (Oxford University Press, 2019). 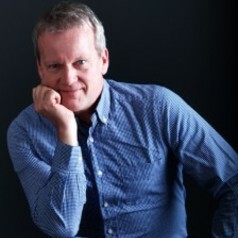 Follow Pasi in Twitter @pasi_sahlberg.